Audio Inputs/Outputs are set correctly. 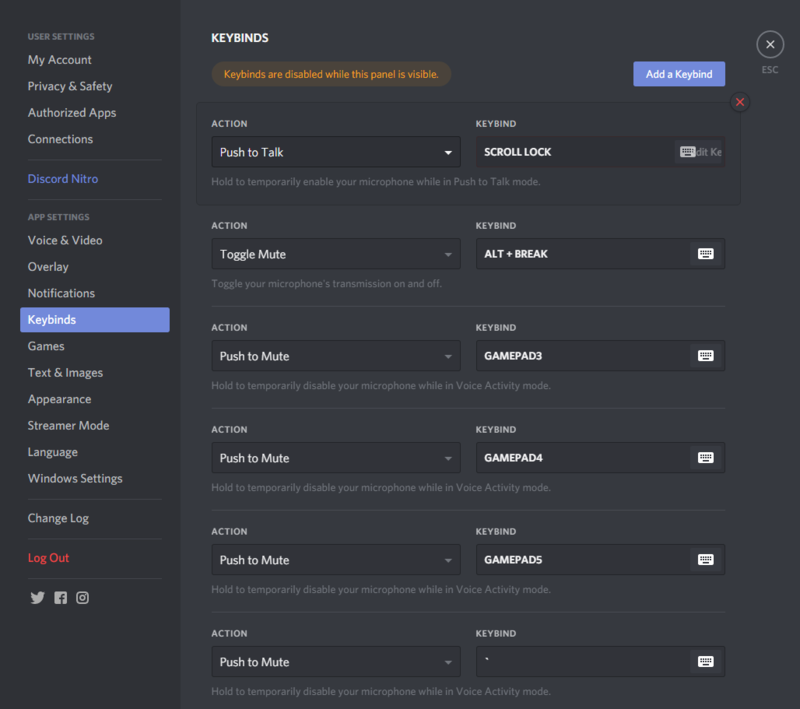 Connect to the correct server IP for Through The Inferno Servers. 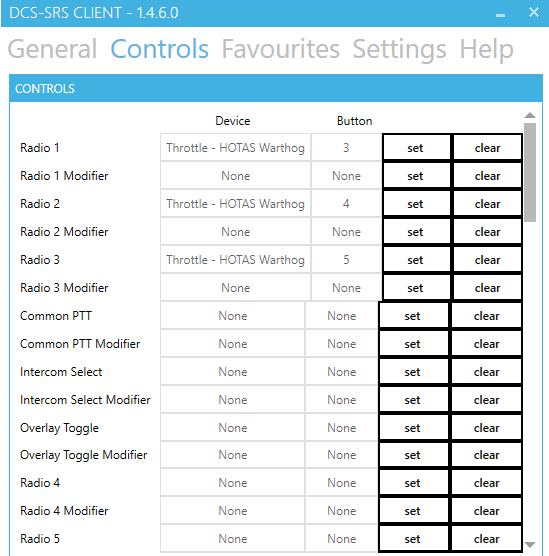 Ensure that “RADIO SWITCH WORKS AS PTT” is enabled under settings. Common PTT is a push to talk that will transmit over any SELECTED radio channel in the overlay. 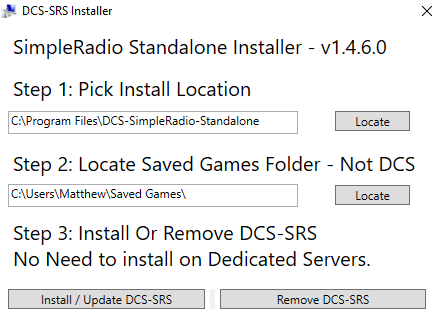 Radio 1, 2, 3, etc… is a push to talk that will transmit over those specific radio channels without having to switch the channels manually. I recommend setting a PTT for the separate radios than to use a Common PTT. 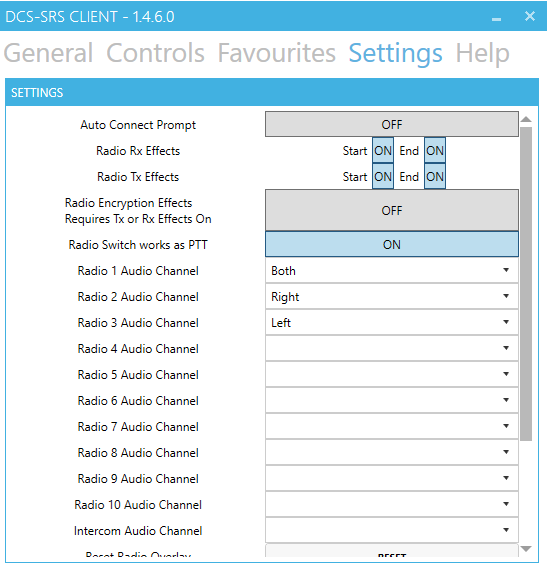 This indicates that you have your first Radio SELECTED but you are not transmitting over it. 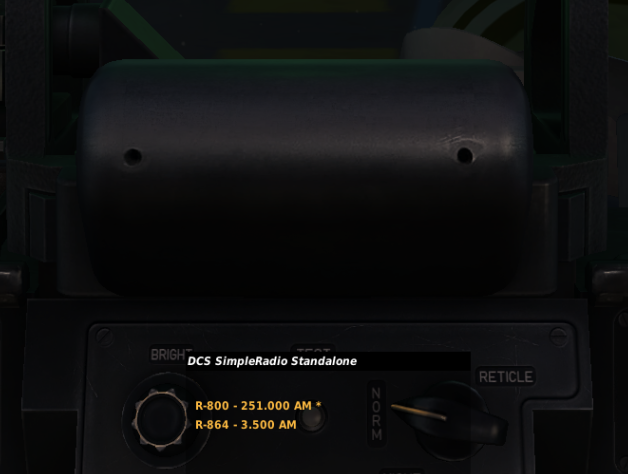 The YELLOW dot means that radio is not currently active. You have to switch to it by clicking on it or by set keybind to switch to it. This is why it’s better to have PTT set to each radio individually. 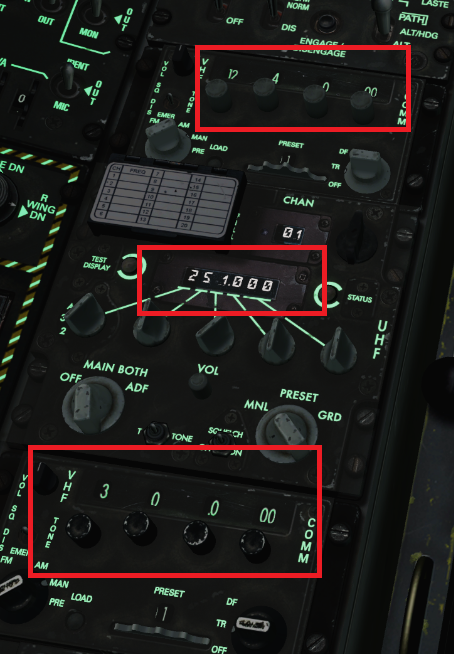 You can click the GREY BOXES on top and bottom of the channel to change the channel frequencies in FC3 aircraft. See mission briefings in server and on the website for appropriate frequencies for 1.5 and 2.1. 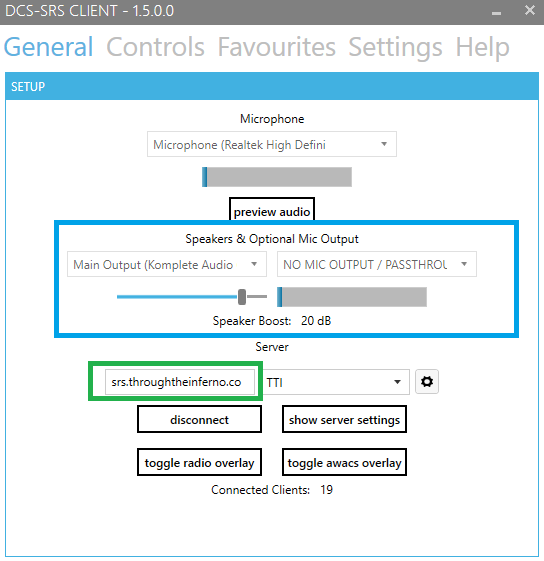 ASK PEOPLE ON THE RADIO HOW YOUR MIC BOOST SOUNDS, AND ADJUST ACCORDINGLY. 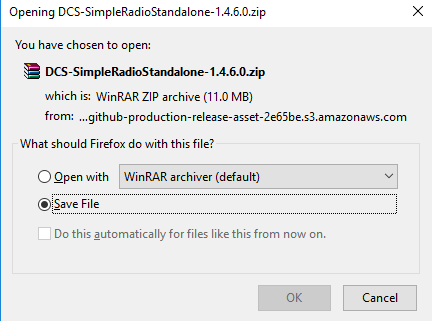 BUG: Clicking on Toggle Radio or AWACS Overlay doesn’t bring up a pop-up window. This is a problem for those with dual monitors. 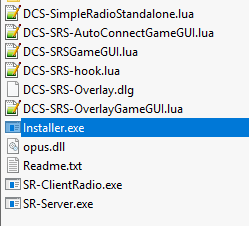 Hover your mouse over the SRS icon in your taskbar. Notice that there are two possible windows, one is the CLIENT and the other is kind of a BLANK window. Hover your mouse over the BLANK window and RIGHT CLICK and then select MAXIMIZE. If there’s still an issue it’s beyond me and the developer for now.